About the timeline: This timeline examines the postcards on which Forman wrote messages to Kaiser. 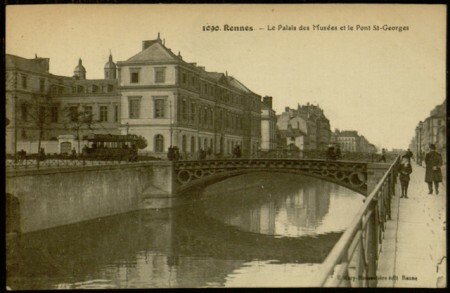 There are also postcards without dates or postmarks, blank cards, a drawing, and one postcard to Forman from a colleague. 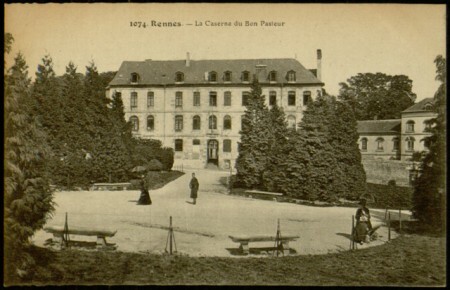 All postcards without a date were excluded from this timeline, but the remaining postcards are available to view in a gallery slideshow at the bottom of the page. 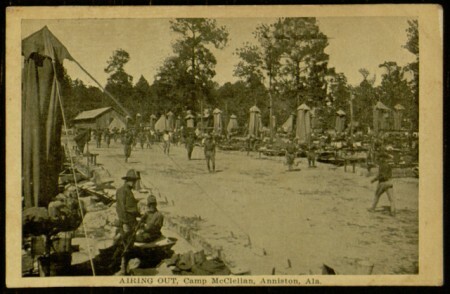 The timeline above lists the written postcards in chronological order, includes the images featured on the front of each postcard, the date listed or stamped on the cards, and the transcribed messages that Forman wrote to Kaiser. Instead of displaying an image of the written message, the timeline lists a transcription of Forman’s message to Kaiser (example pictured below). The timeline was created with the Knight Lab’s Timeline JS tool, which used a formatted spreadsheet to compile and map the data into the timeline layout. The Timeline JS program required little to no experience with digital and required only public access to a Google sheet to generate the timeline. After uploading all of the data into the formatted sheet, the timeline is created into a previewing s ection which creates an embedded link. Timeline JS worked best for the project of tracking Forman’s communication and showcasing various aspects of the postcards themselves. 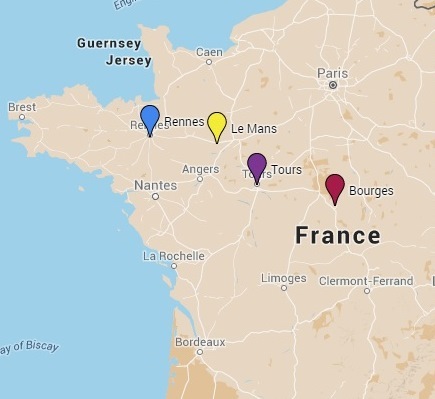 In the initial stages of the project, I considered using a mapping element to visualize the cards and their locations in France, but I noticed an emerging pattern that centered around four or five major cities and chose to visualize the data with a supplemental Google map (pictured left). Design Choices: As previously stated, not all postcards were included in the timeline. The Timeline JS program requires specific dates for the corresponding data fields. If a specific date is exlcuded, the entry is ‘mapped’ at the year zero. These errors skewed the data and altered the timeline period. 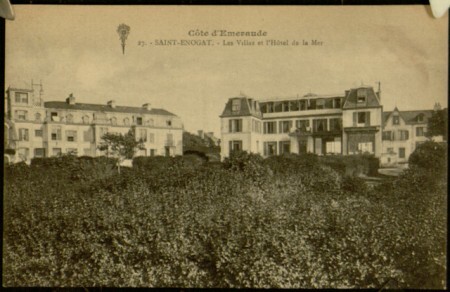 While the dates of the postcards could have been estimated between 1918 and 1919, it was not appropriate to guess or write arbitrary dates for the sake of including them in the study. Additional design choices involved integrating U.S. 29th Division and 116th Infantry military engagements to contextualize Forman’s experiences within the narrative of his unit. The slides outlining the postcards are red, while the division-based slides are navy. I chose to alter the subjects by contrasting colors to draw attention to the dates and the movements of the the U.S. troops. I initially wanted to feature both sides of the postcards within the timeline. However, only one image is allowed per dated entry so I decided to transcribe the messages of the postcards. While this method separates the user from the primary source, the transcriptions are streamlined and consistent, which allows accessible data and easier interpretation. October 20th postcard that includes the description of 425 stairs. 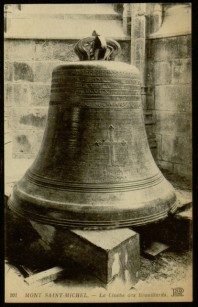 Forman also mentions scratching his name in stone at the top of the cathedral. 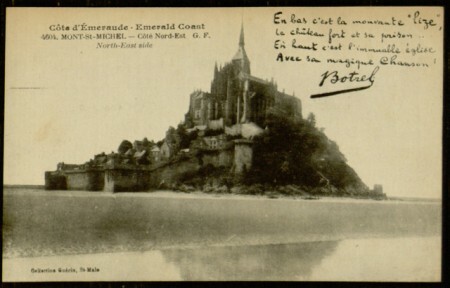 Research generated from this project: Edward Forman’s postcard collection allows researchers to study the changes or consistencies in the ways Forman communicates with Kaiser. 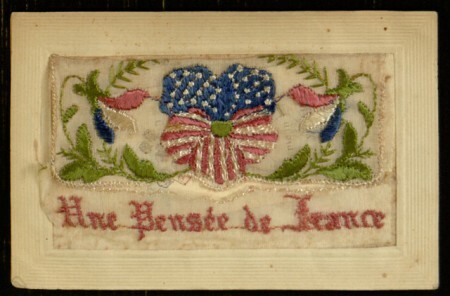 Although censorship limits communication from troops to the home front, Forman rarely describes the effects of the war in France or the war’s effect on himself and his fellow soldiers. 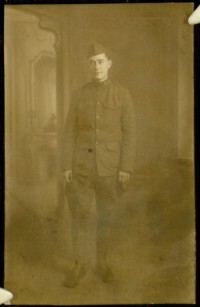 Forman never mentions another soldier in any of his postcards sent back home. What do such absences reveal? 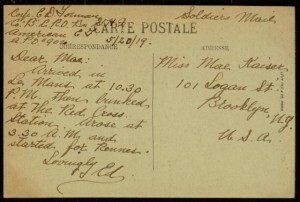 The limitations of the postcards must be acknowledged as Forman writes to Kaiser: “I will write a longer letter tomorrow evening.” Forman and Kaiser’s style of communication likely changed depending on the format, and it’s possible that the blank postcards supplemented some of the letters that Kaiser received. 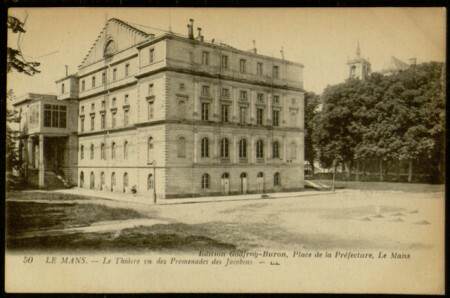 However, we can discern that Forman’s postcard communication demonstrates choices to mark specific events and experiences. 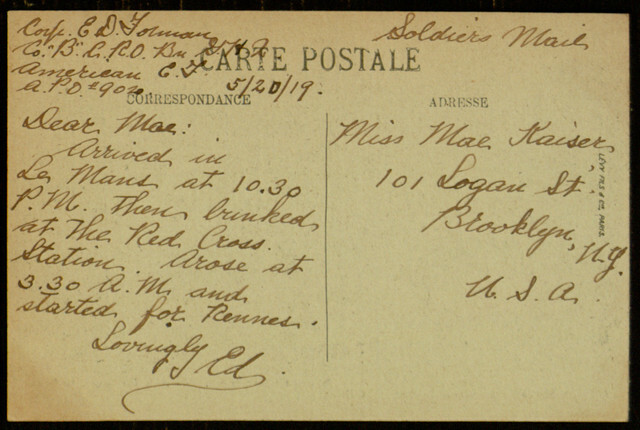 The clumps of similar postmark dates and locations suggest that Forman wrote postcards to Kaiser while away from the front. 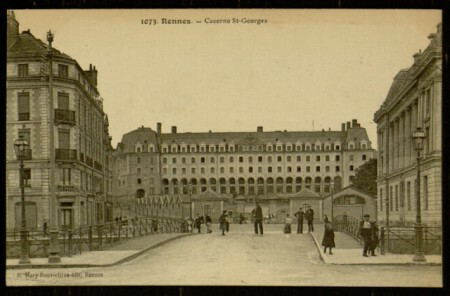 Forman’s communication style indicates how he experienced and curated snapshots of France for Kaiser to experience through their postcards. 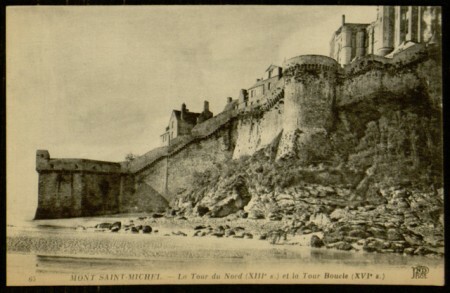 Several of his cards describe towns and landmarks with a tourist’s or sight-seeing observations. Furthermore, Forman shares these travel memories with Kaiser, as if she was traveling with him and experiencing the same sights. In addition to the communication between Kaiser and Forman, what else do the postcards reveal about Forman’s wartime experiences? 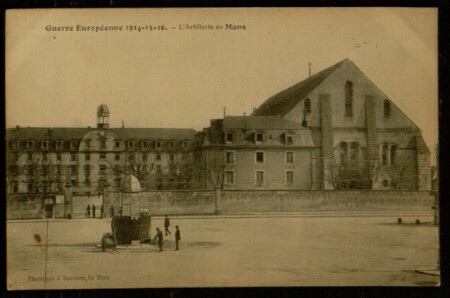 What can we learn from the locations documented in Forman’s postcards? 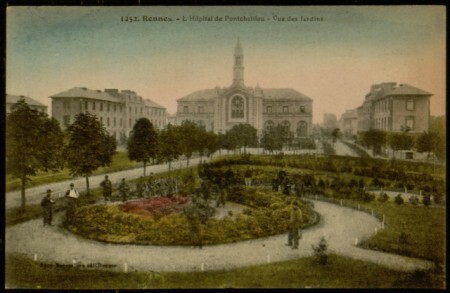 In his September 3rd postcard, Forman writes that he began his “new job,” describing that it felt similar to civilian life. 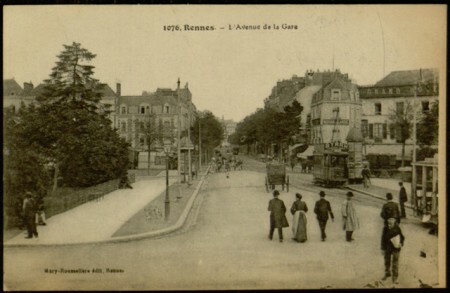 If Forman served as a clerk, which could be a civilian-type job assigned to an infantryman, would Forman be near the trenches or would he be stationed in the cities the majority of his postcards depict: Rennes, Le Mans, Tours, and Bourges? 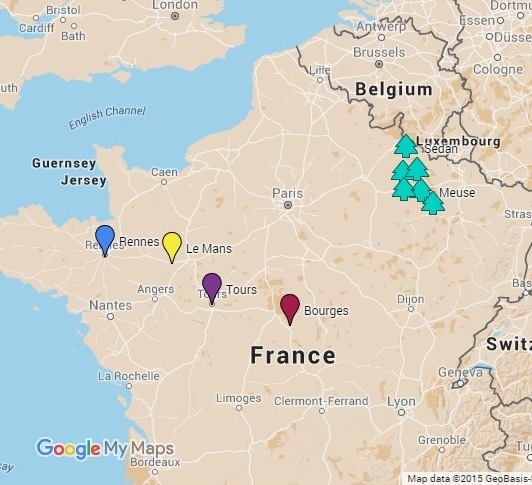 Note the map feature above: the teal trees indicate the locations of the Meuse-Argonne front. The maps indicates how far postcard are from the front lines, but this does not rule out Forman’s potential involvement in battle. According to the Center for Military History, the 29th Division played a significant role in the early stages Meuse-Argonne offensive. After suffering heavy casualties, the unit was pulled off the front line in mid-October. Based on the timeline of the Meuse-Argonne battle, I assert that Forman was at least indirectly involved in this offensive. Even if Forman himself did not fight on the front lines, many of his comrades in the 29th Division did and experienced over 5,000 casualties. 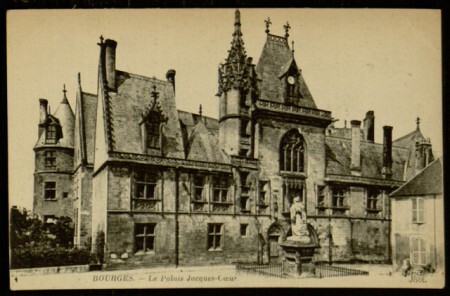 The dates of Forman’s Bourges postcards support the idea that the soldiers were pulled off the line and granted leave. 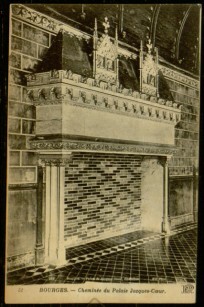 While this project has centered on Kaiser’s received and postmarked cards, examining their content and observing any changes throughout their communication, the blank or non-postmarked cards are worthy of including in this slideshow as they further demonstrate how Forman constructing and commemorated his experiences abroad and what he chose to relate to Kaiser and her family. 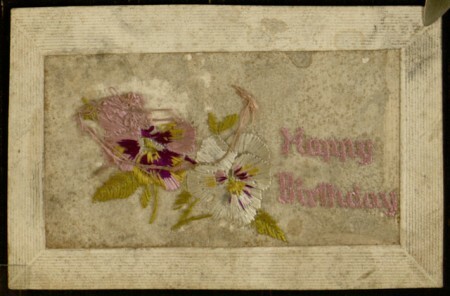 If there is any letter or text on the reverse, the content is transcribed and listed with the card. The slideshow below further illustrates how Forman chose to document his experience in France. We are all marching the road to victory. 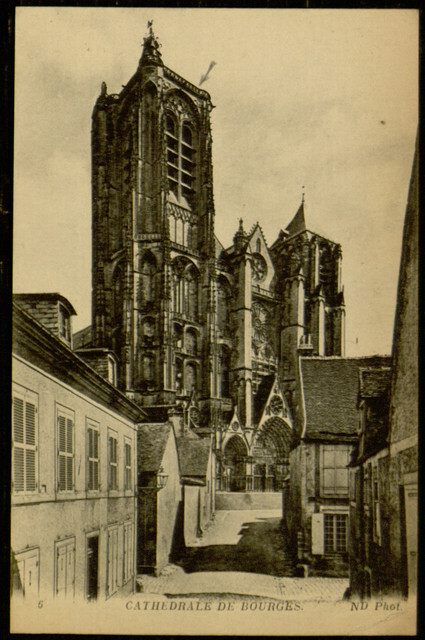 The interior of all the cathedrals of the towns I've struck are of the same architecture. You will notice this is practically the same as the one in Bourges. May joy, happiness, love, and prosperity increase with years. 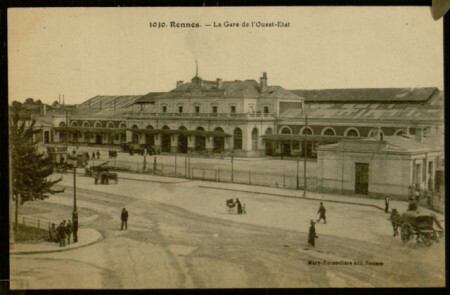 This is the station at Rennes. This is the way our tents look when we unfurl them for an airing. It was dark when the train pulled into Le Mans, therefore, I didn't get a good view of the town. 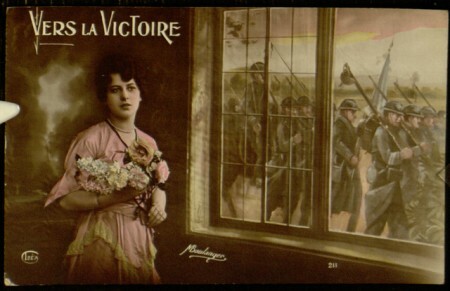 Conclusion: My initial research analyzed how Forman contextualizes and personalizes his postcards and shared memory with Mae Kaiser and how Forman’s personal communication with Kaiser shed light on the experiences of the 116th Infantry and the overall narrative of American soldiers in the Great War. By creating the timeline, the user can trace patterns in Forman’s communications and easily track the differences and consistencies throughout the two years of postcard communication. 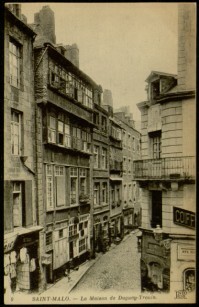 Furthermore, the users can examine how Forman personalized his postcards with his experiences in and around the city. 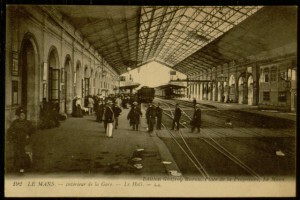 The postcards demonstrate how Forman contextualized his experiences abroad and shared small snapshots of memory with Kaiser. 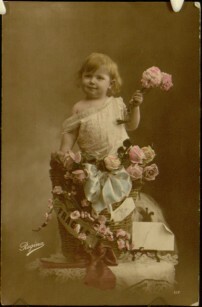 Although letter writing would allow for more intimate or heart-warming messages, Forman uses mass produced postcards to share his sentiments with Mae. An additional examination of the postcards allows the user to compare Forman’s experiences within the context of the Western Front. Based on his communication with Mae, where he addresses his ‘civilian‘-like job and never hints at combat, fighting, or morose events, researches might ask if Forman ever saw the trenches of the front. 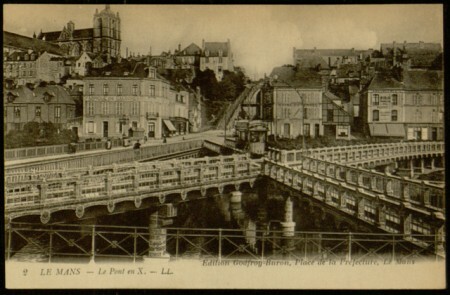 The time-lined events of the 29th Division and the dates on Forman’s postcards validate the possibility that Forman served near the front during the Meuse-Argonne Offensive in the September and October of 1918. If this is true, how can we further investigate Forman’s communications with Kaiser and the lack of content that describes the horrors and aftermath of the front? 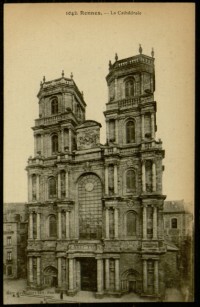 “Collection of Postcards from Edward D. Forman.” Villanova University Falvey Memorial Library. 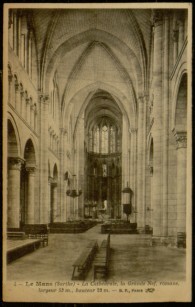 http://digital.library.villanova.edu/Item/vudl:336023. “116th Infantry.” 29th Division Association. http://www.29thdivisionassociation.com/116th%20Infantry%20history.html.